Hoang Su Phi: Established hundreds of years ago, Hoang Su Phi District in the northeast province of Ha Giang is now the home of many ethnic groups who live mainly by growing rice and other subsidiary crops. 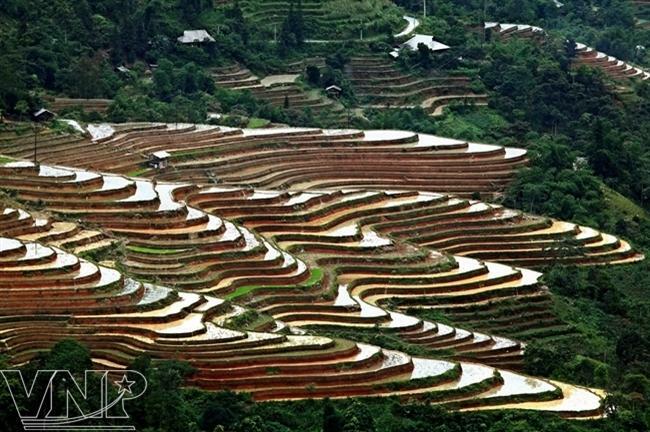 It is estimated that the terraced fields were created at an altitude of 1,000m above sea level around 300 years ago. They cover 760ha in six communes of Ban Luoc, San Sa Ho, Ban Phung, Ho Thau, Nam Ty and Thong Nguyen. Over the years, the terraced fields have not only helped the locals to produce food to provide for the whole district but have also been a beauty spot of great potential for tourism development. 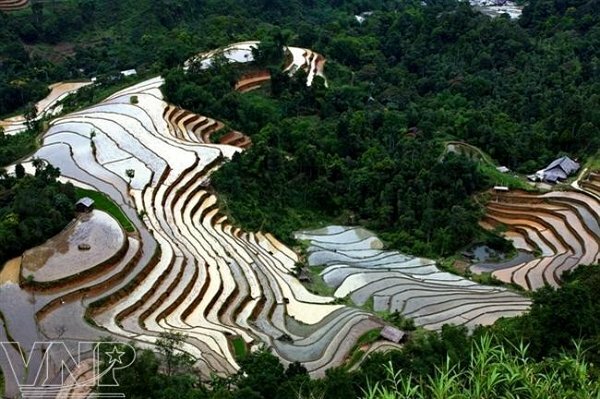 Terraced fields in the shape of the letter “S” in Nam Ty Commune are considered the most beautiful ones in Hoang Su Phi. 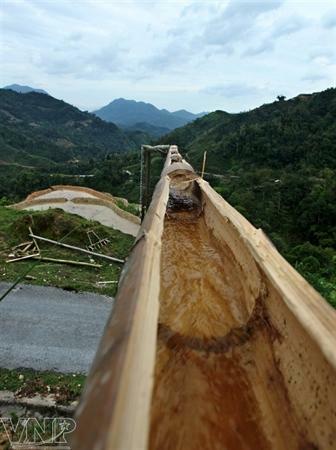 The ethnic groups of Mong, La Chi, Dao and Nung use bamboo tubes for taking water from mountain’s tops to the fields. Water is poured from the higher to lower fields. People in Hoang Su Phi till the fields for a new crop. 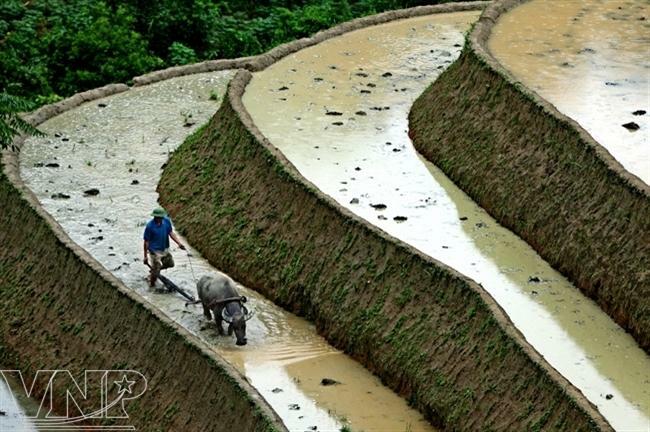 The terraced fields have paths of 20-50cm in width and 15-20cm in height. The locals pull up rice seedlings for transplanting. 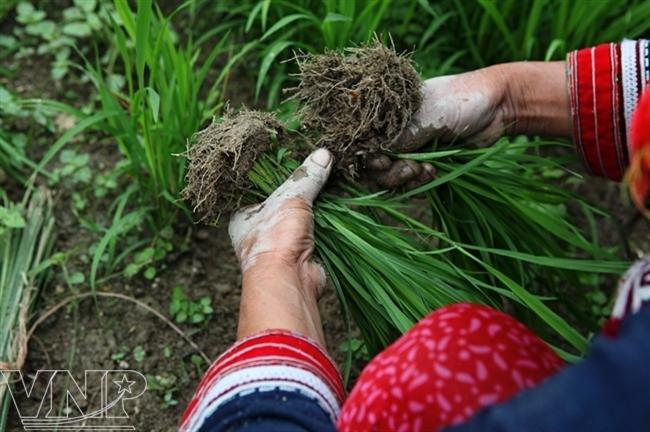 Rice seedlings are pulled up after a rain to avoid breaking their roots. 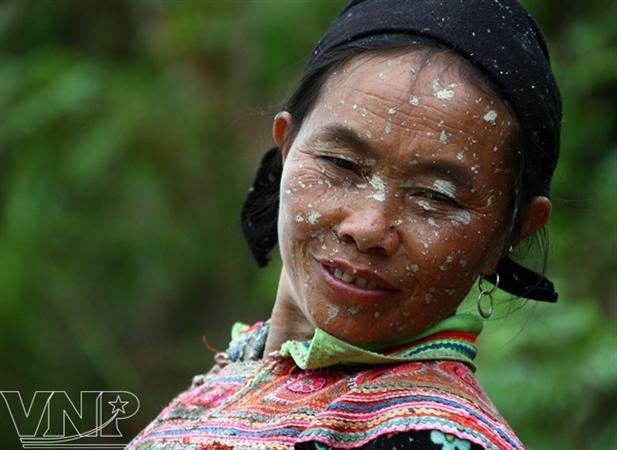 Sung Thi Tra, a Mong ethic woman in San Sa Ho Commune, with her face spattered with mud after a day of working hard in her terraced field. 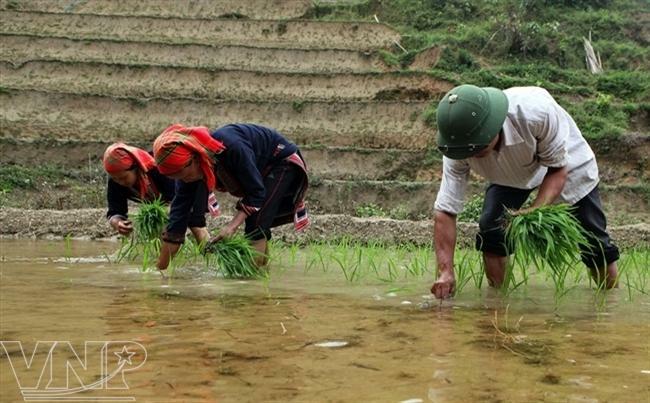 The Dao ethnic people transplant rice seedlings on the terraced fields. 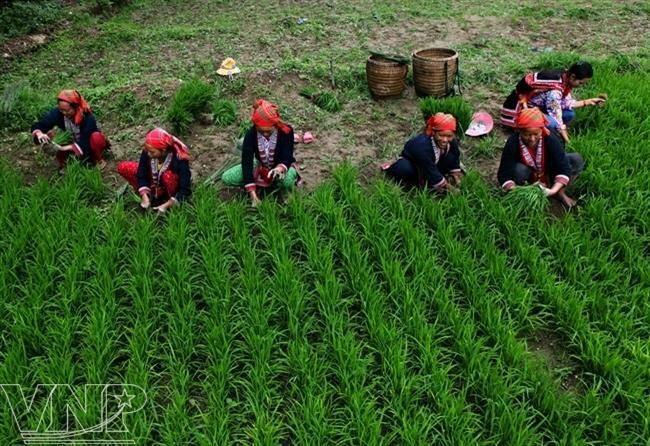 Hoang Su Phi: Established hundreds of years ago, Hoang Su Phi District in the northeast province of Ha Giang is now the home of many ethnic groups who live mainly by growing rice and other subsidiary crops. 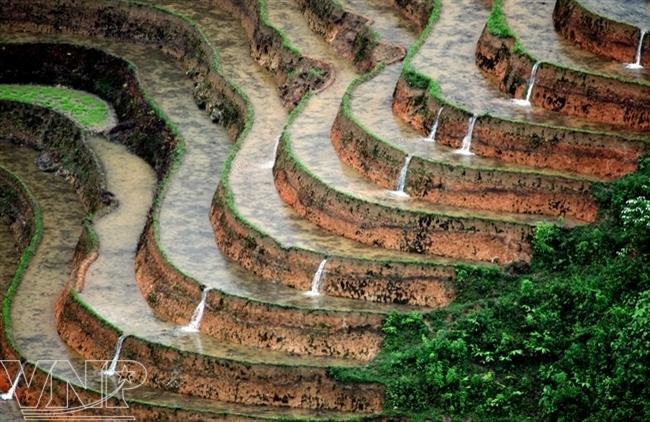 It is estimated that the terraced fields were created at an altitude of 1,000m above sea level around 300 years ago. They cover 760ha in six communes of Ban Luoc, San Sa Ho, Ban Phung, Ho Thau, Nam Ty and Thong Nguyen. Over the years, the terraced fields have not only helped the locals to produce food to provide for the whole district but have also been a beauty spot of great potential for tourism development.